The Shadow Conspiracy have this neat hub guard on the works and it looks sweet!!! I can't wait to see it on the flesh. We will sure let everyone know when they turned up. 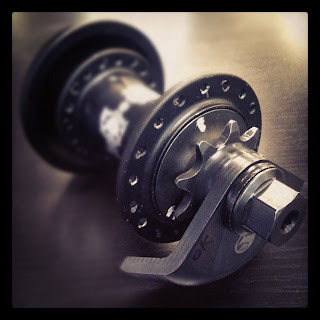 You asked for a drive side compatible hub guard and The Shadow Conspiracy delivered. This has been in development for quite sometime and are happy to finally be able to reveal some details. This guard will replace the cone washers on our new 14mm Female Raptor Rear Cassette hub and will be fully compatible with the Shadow Interlock V2 Half Link chain. Keep your eyes peeled as more details will be coming the closer we get to the guard’s MAY release date!